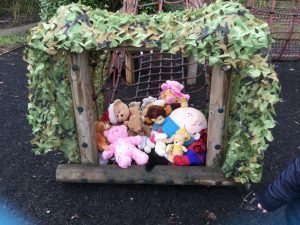 If you go down to the woods today, you will see Nursery and TEDDY BEARS!!! 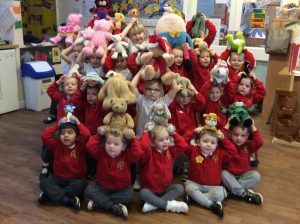 Following our new sound in phonics “t” and being inspired in PE with a dance to Teddy Bears Picnic, Nursery wanted to play with Teddy Bears. 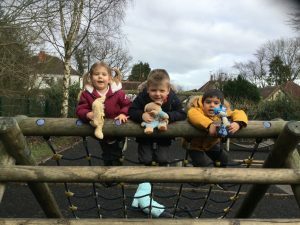 They decided we could have a picnic. 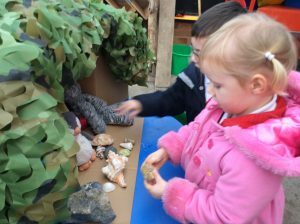 We wrote shopping lists in our role play co-op shop and sent Mrs Butler to the “real” co-op. 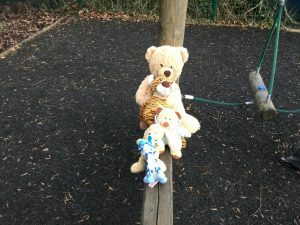 We were then ready for a teddy bears picnic. 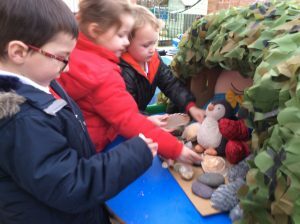 The children had lots of fun, leading their own play with den building, caves, picnics and dancing. 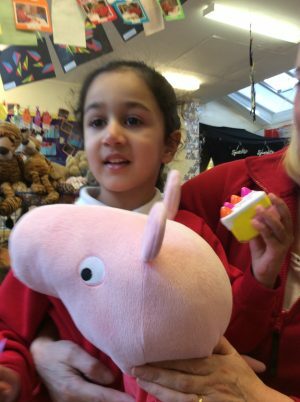 Peppa Pig Loves a picnic!!! 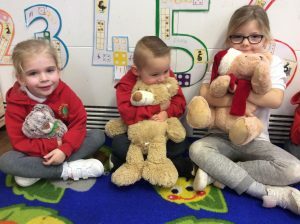 We love our Teddy Bears!!! 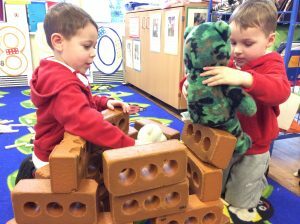 Building bear caves and houses is lots of fun. 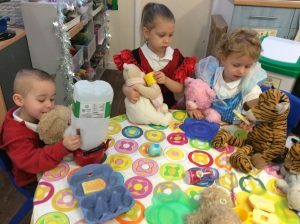 Even a “Tiger came to tea” following our story input. Bear caves with camouflage. Important when hiding out!!! 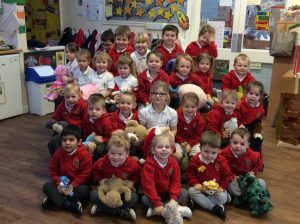 Friends in the cave- A Bear Party!!! 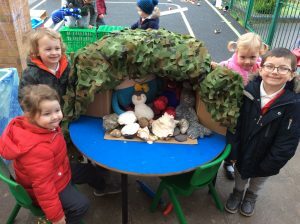 We are Proud Peacocks about our bear cave. 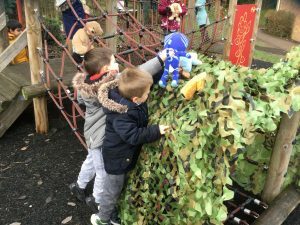 More building, hiding and climbing fun for these bears. 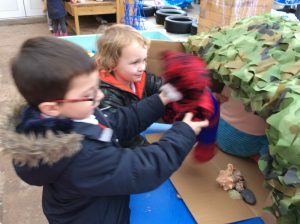 “If you go down to the woods today, you’re sure of a big surprise, today’s the day the Teddy Bears come to Nursery”. 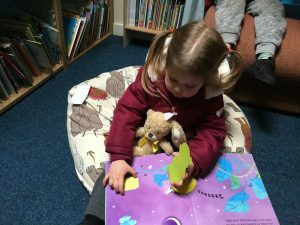 A bedtime story with a teddy bear is perfect. 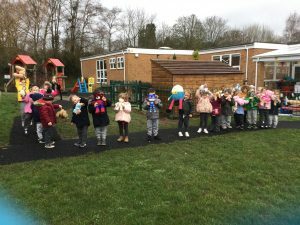 The daily mile with Nursery and their Teddy Bears. 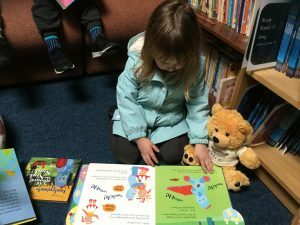 “Listen carefully, we are going to read a story”. 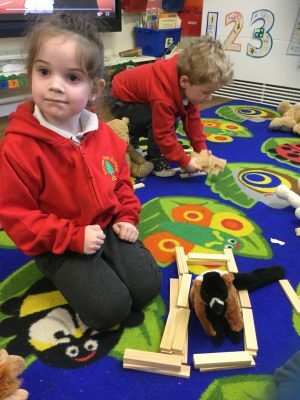 Building a house fit for a bear.